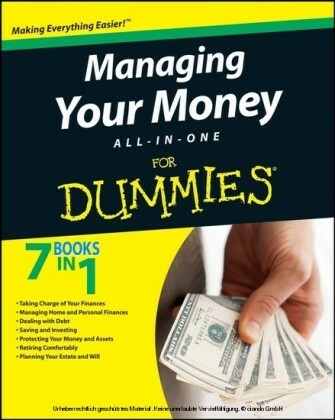 All the information you need to manage your money wisely in one great guide Looking to expand your knowledge of money management? This all-in-one resource is the tool you need. 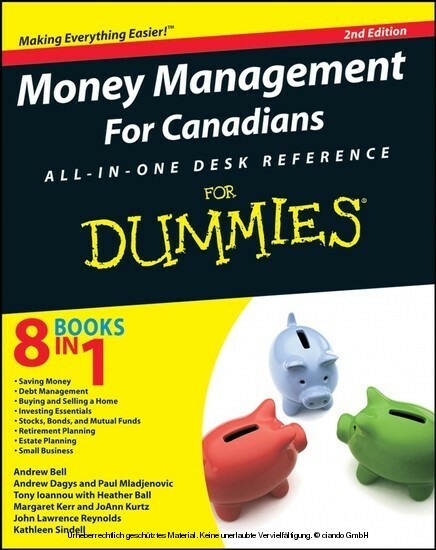 From dealing with debt and setting financial goals to starting a small business and planning your estate, this indispensable desk reference is bursting with sound financial advice. Our Canadian financial experts offer the insight you need for making first-class money-management decisions. Setting financial goals - determine your money personality and set a financial course that works for you Getting yourself out of debt - tackle credit problems and expense issues to set yourself on the right path Buying and selling a home - get the home of your dreams for the best price and sell your house easily and profitably Understanding investing essentials - explore your options to make the most of your money Building wealth through stocks, bonds, and mutual funds - buy the most profitable investment vehicles no matter what the economic climate Planning your retirement - build your RRSPs to enjoy a comfortable retirement free from money worries Readying your estate - ensure that your estate is properly managed and safe from taxes Starting a small business - set out on an entrepreneurial adventure with everything you need to be successful 'An indispensable reference guide.' - Mike Gillespie , Canwest News Service Open the book and find: How to manage your money to meet your goals Budget tips to help you save more How to reduce the taxes you pay Expert tips on buying your perfect home The best investments for your personality and goals How to build a diversified portfolio The scoop on how much you'll need to retire comfortably Essential information on estate planning What you need to succeed in small business Andrew Bell is a host on Business News Network. 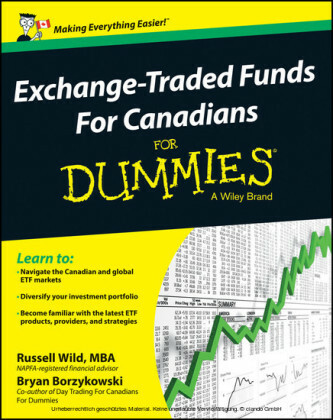 Andrew Dagys and Paul Mladjenovic co-wrote Stock Investing For Canadians For Dummies . 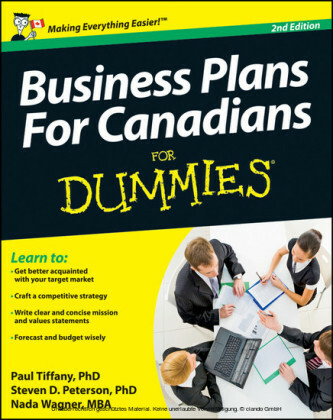 Tony Ioannou and Heather Ball co-wrote Buying and Selling a Home For Canadians For Dummies . Margaret Kerr and JoAnn Kurtz are lawyers and entrepreneurs. John Lawrence Reynolds is a best-selling author. Kathleen Sindell is a professor and consultant.